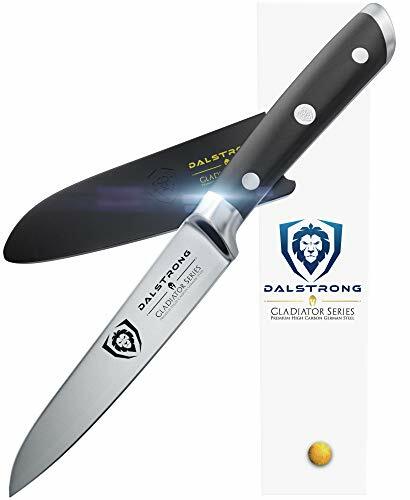 Incredibly razor sharp paring knife, full-tang, imported high-carbon German steel with a hand polished edge at 18 degrees per side. Precisely tempered and stain resistant. The ultimate paring knife. See why thousands of professional chefs and home cooks love and trust the DALSTRONG DIFFERENCE. 100% SATISFACTION OR MONEY BACK GUARANTEE, try it risk free, we know you'll love it!